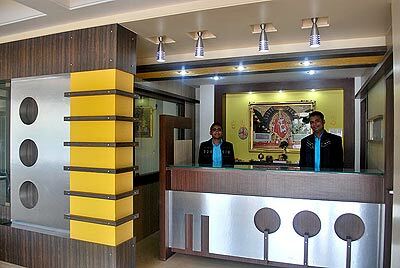 As a well-known Hotel & Tour Operator from Shirdi, HOTEL SHRI SAI MURLI provides excellent services & facilities. Our Services & Facilities are properly managed and arranged by a group of trained experts. They cater to all the desires and preferences of the clients and then arrange for them the best-suitable service that they are seeking. With us, you can rely for Dinning, Accommodation, Travelling and many more services. Moreover, we assure you ease, comfort and complete satisfaction. Hotel Sai Murli offers 21 a/c and non a/c well furnished rooms. "FREE PICKUP & DROPPING FOR TEMPLE"